What’s your poison? This matte black beauty claims the soul of all that drink from it…and keeps your beverage cool for 24 hours! 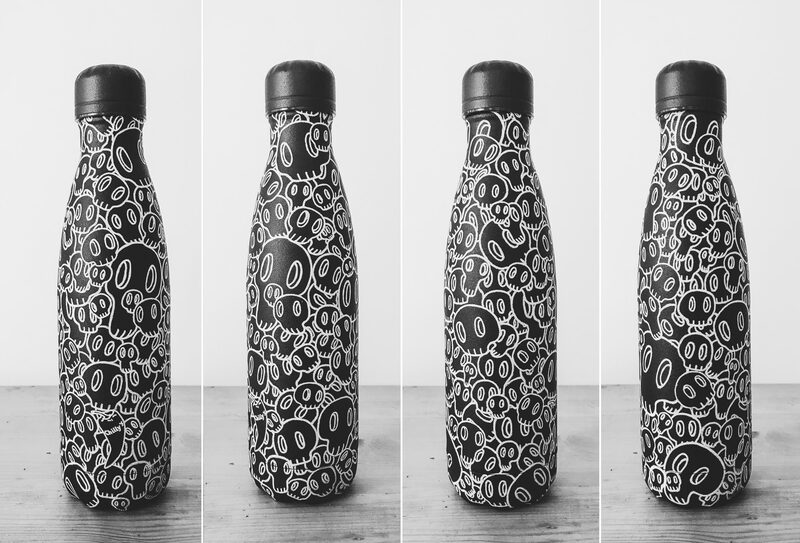 Each skull was illustrated using trusty Posca Pens on a Chilly’s Bottle for the ultimate plastic free drinking experience.